Basketball is a sport played by two teams of five members on a rectangular court. The object of the game is to shoot the ball through a hoop, which is ten feet high and mounted to a backboard at each end. A field goal scores two points for the team and three points if a player scores from behind the three point line and the team with the most points at the end of the game wins. 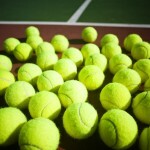 The ball is advanced by bouncing it whilst walking or running and it can be thrown or passed to another team member with fouls and violations of the rules seeing the ball awarded to the opposing team. As well as techniques for passing, shooting, dribbling and re-bounding, there are specialised player positions with typically the tallest member playing centre or power forward and shorter players and those with good handling skills playing point guard or shooting guard. It is a fascinating game, which is played in colleges throughout Canada and the United States as well as high-school and there are professional basketball teams and leagues in various countries around the world. Below is a list of ten of the best sites for basketball fans to find news about the sport. If you enjoy basketball, then the sites below will be very useful. 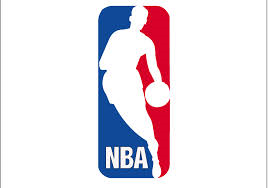 NBA.com is the home of the national basketball association and has all the latest basketball news headlines to read as well as the latest videos to view. 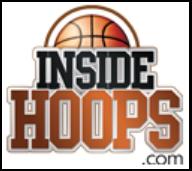 The season is currently being previewed and there are off-season report cards to see and a blog for chatting with other basketball enthusiasts. A list of players, leagues and teams is given and you can view the standings and stats as well as see scores and schedules. Special articles can be read in the playoff section and there is also a section for children. 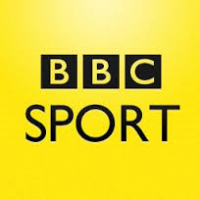 The BBC features basketball in its sports section and brings the latest news headlines within the sport from all around the globe. 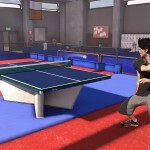 Results, tables and fixtures can be found and there is a special section featuring basketball at the Olympics. There are videos to watch and articles to read with information about coaching and play-offs. Links can be found leading to other basketball sites and leagues such as wheelchair basketball and women’s basketball and there is a special photo gallery with measurements to see the tallest players. Basketballdaily.com has many videos to watch on the sport including ‘the daily life of a basketball player’ and ‘shooting drills for youth basketball.’ There are basketball tips to watch and also a workout specifically for basketball players as well as images to see and a section is given about news within the sport. Results from the game from around the world can be found and there is an online shop containing basketballs, nets, DVDs, CDs and music to purchase. ESPN has a page dedicated to basketball with top stories and top videos to view as well as a section for the latest news headlines in basketball. There are team-by-team previews and must-read articles with an NBA photo gallery to view and a section for purchasing tickets. There are sections for ‘true-hoopers’ and rumours within the sport and scores, schedules, standings, players and statistics are also given along with a tab for previewing the games. 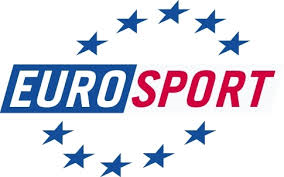 Eurosport has a page for basketball which provides the most popular and the latest news from the world of basketball. There are videos to view and articles to read with sections for NBA as well as individual countries from Europe that have basketball leagues. News and information can also be found for the EuroLeague and the EuroCup as well as a calendar and a result section for Eurobasket. Games can be viewed from around the world and there is also a tab to see the standings. The New York Times has a section dedicated to basketball with video highlights as well as the scores and schedules revealed. The latest news from the sport is delivered and there is a section for purchasing tickets to the games. You can read about the professional players and there is a special section for college basketball which provides stats as well as transfer news. Yahoo! has the top headlines in the world of basketball and you can watch videos and see the season preview. 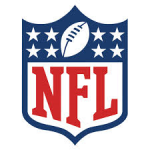 There are articles to read and scores, standings and schedules of games can be seen along with a list of all the players and teams with their stats. There are special sections for Adrian Wojnarowski and Marc J. Spears with a special tab called ‘balls don’t lie.’ Tickets can be purchased on the site and there are viewing recommendations. Fiba brings the latest news and events from the basketball world. The site is worldwide and all the different leagues and teams can be chosen by region or by event with all basketball playing countries listed. 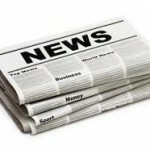 News can be found in columns and press releases and there are videos of famous players to watch. There are sections for basketball basics and also for experts along with an interactive basketball game to play and you can subscribe to receive the daily basketball newsletter. Eurobasket.com has the latest news from the leagues around Europe including under 20, under 18, under 16 and the women’s league. Upcoming events and matches are announced with RSS live feed and news can also be found from around the globe in the basketball world. There are articles to read, a list of the top 100 players in Europe, videos to watch with some amusing ones included as well as daily reports. You can catch up on transactions to see which players are available and which teams are scouting and a blog is in place for commenting and following threads.